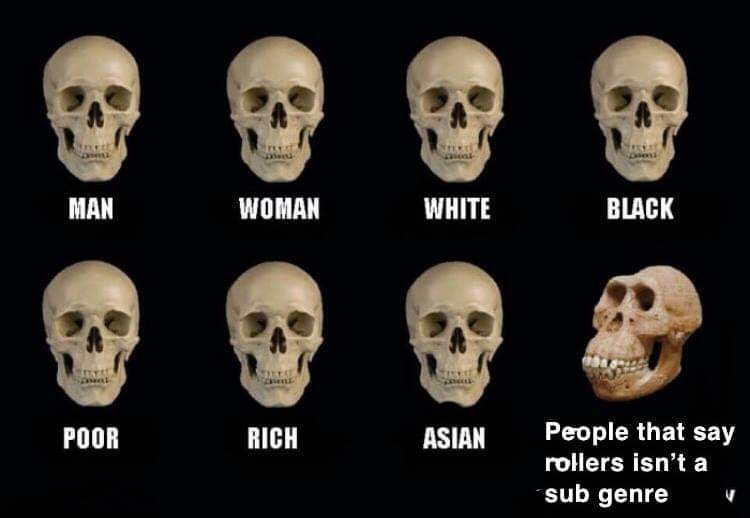 Rollers are not a subgenre, you muppets!Rollers are not a subgenre, you muppets! A strange phenomenon has been taking hold in drum and bass in the past few months. We’re not sure who started it, we’re not sure if it goes beyond online discourse (or even beyond the confines of DNB Talk) but there does seem to be a substantial faction of heads who are trying, neigh, clamouring to elevate the term ‘rollers’ to the status of subgenre. And it needs to stop. Now. The arguments haven’t been terribly strong (unless you count the old standard “because I said so!” as an astute riposte) and there has been a terrifying meme war at the heart of it but it’s hard to gauge fully just how many people actually believe this silliness. Since this has come to light, however, our position is that a few things need to be clarified. 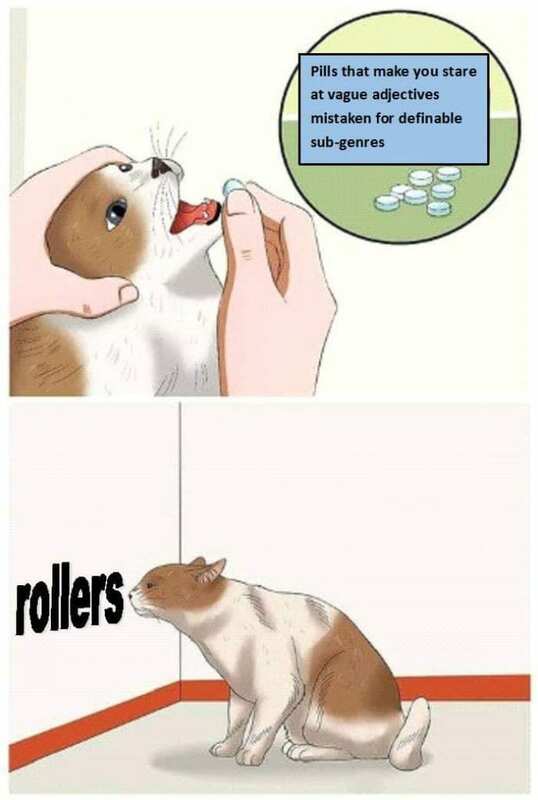 The idea that rollers should be, or actually is already a subgenre seems to come from a flawed logic that really isn’t about what heavy hitter producers say (we have plenty of statements from heavy hitters by the way) but more rooted in a lack of music theory understanding. Let’s break that down first with the original definition of a roller. Essentially, a roller is any track with a rolling bassline or beat structure. It’s not to do with a time signature, as some have suggested; it can be literally any time signature as long as it’s a consistent loop of bass, drums or both (sometimes even synths) which roll over and over throughout the track. There are jump up rollers, jungle rollers, neurofunk rollers, liquid rollers…hell, even jazz and rock have their rollers. Ever listen to Teddy Bear by Elvis? That is a rolling bassline that should be remixed. Someone get on that. So, if one thinks of the technical structure of a roller, it is actually just a style of drums or bassline and can be inserted into literally any type of song. So if it can be used in any subgenre, how can it be its own subgenre? One artist who’s been really vocal about this is Iris from Quadrant and Iris. Iris even went so far as to give us an example. In her track Definition with Quadrant and Kid Hops, the drumline is very clearly rolling along throughout the track. 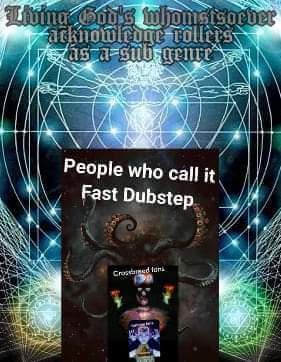 It’s also a big fusion of multiple subgenres. It’s the technical definition of why rollers aren’t a subgenre (pardon the pun). Meanwhile multi-genre roller don Nymfo agrees and admits he even provides feedback on techno rollers his techno producing friends send him. Like Iris, Nymfo sees rollers as a style and not a subgenre. In the face of some of the newer subgenres that have changed so much over the years, rolling basslines and rollers are actually one of the only things that has stayed pretty consistent. 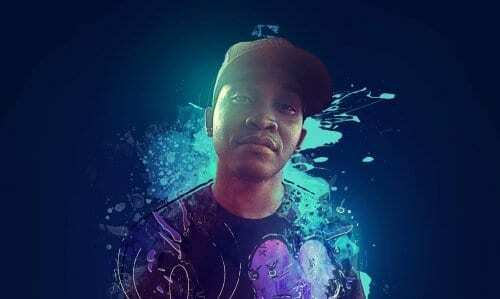 We spoke to one of the originators of neurofunk, Skynet, on the matter. Even in modern iterations of neurofunk, liquid and tech step, rolling basslines and drum patterns can provide that goove that may have been lost from earlier versions. Eatbrain boss Jade, creator of a 2018 favorite neurofunk roller in the form of his Man Eating Lizard Dragon DnB VIP seems to agree. Don’t We Have Enough Bloody Subgenres? Many of the producers we spoke to felt this way in some form or another: With all the little pigeonholes, subgenres and divisiveness we already have in drum and bass, why are we trying to make more divisions and why are we even arguing about it? “Fabio coining ‘liquid’ initially was never put out there (by him) as an intended sub genre, it was just a phrase he coined that was taken on by pretty much everyone and seemed to make sense to everyone for that deeper D&B sound. The ‘roller’ term has been around WAY before ‘liquid’ came to light but I’ve never noticed it used as a subgenre. You can have different styles of rollers, such as a jungle themed roller. A perfect example would be DJ Krust’s Set Speed or the even more appropriately named Remember the Roller by Dr. S Gachet. 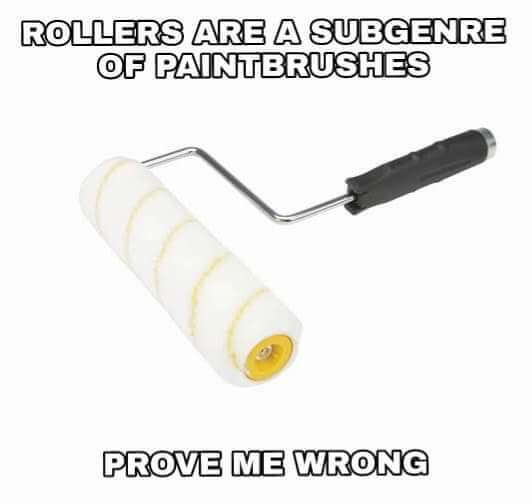 Well first of all, everyone reading this better have come away knowing that rollers in no way defines any subgenre. In fact more often than not, it unifies them. More important than the technical reasons for that, however, is the fact that over-defining drum and bass right now is a dangerous thing. The way any music genre evolves, is that it has to go through stages; D&B in many ways is unrecognisable to what it was in 1996, 2001 or even 2008. What pushes these stages is not adding limiting parameters like categories, subgenres and even subcultures (I’m looking at you, jungle) but allowing artists to feel free to come up with new innovations and push boundaries. The other thing that pushes the evolution of a music style is its fans being open-minded and willing to look at the way a track is put together; to feel the emotions conveyed by it and to try to see it the way the artist intended without shoving it into a box or being upset that a track is “breaking the rules of” or “killing” a particular subgenre. If it were possible to make rollers into a subgenre, how would that be constructive? 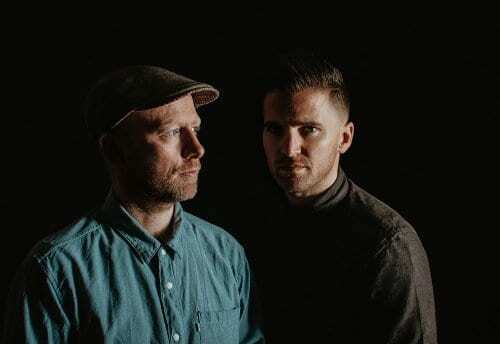 Rollers are, in fact, one of the major unifying points of drum and bass and jungle; one of the things, along with the tempo and the heavy bass, that’s been with us since the beginning. 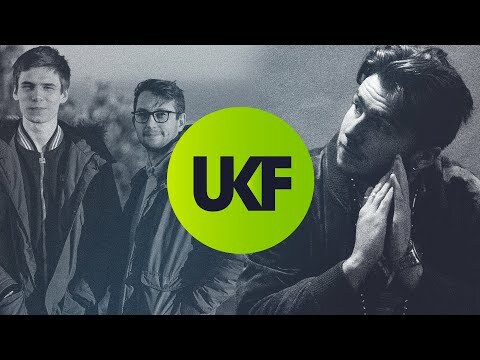 It’s the one thing that shouldn’t be separated out into a subgenre, so let’s all just agree to not waste any more time and let rollers continue to evolve the way they always have: By rolling along the timeline of jungle and drum and bass, leaving awestruck bassheads in their wake. Case closed. 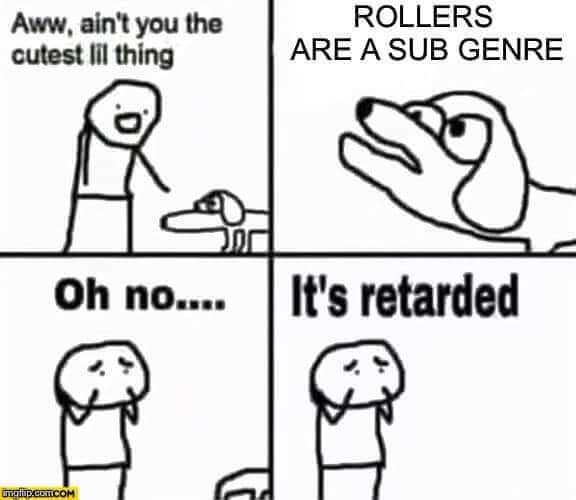 Rollers are most definitely not a subgenre. We’re all splitting hairs here. Now lets go back to sharing a love for the music that brought us all together in the first place: Fast dubstep.